Would you like to know some amazing and interesting facts about Japan? If so, you have come to the right place! I have collected a number of interesting facts about Japan which I thought people from outside Japan would find very interesting. Below is the page one of fun facts related to Japan. ● There are about 220 subway stations in the Tokyo metropolitan area alone. This number excludes the number of JR (Japan Railways) stations. ● At the most prestigious fruit shops in Tokyo, an orange is sold at USD7.00 each, and a peach at USD17.00 each. The most expensive musk melon is sold at the price of USD450.00 each, and even the cheapest one is sold at USD150.00 (as of July 2016). ● The color of the sun is considered red in Japan (just like in the Japanese flag). If you were to have Japanese schoolchildren draw pictures of something with the midday sun, half of them would color the sun red, while some would color it yellow. ● The symbol of Tokyo is a gingko leaf. Gingko trees were planted on many streets in Tokyo. One reason for this is because gingko nuts are edible and might be useful at the time of a natural disaster. ● There are some subway stations in Tokyo that are not located underground. Examples of these are the “Shibuya” station of Ginza Line and the “Yotsuya” station. “Ya” means “valley”, and it makes perfect sense, as the subway trains run at a certain level, and if there were some valley, railways would inevitably come out onto the ground. ● At the terminal stations of private railways, there are usually well-known temples or shrines. 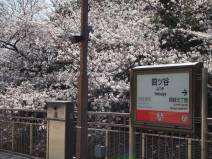 The final station of the Keisei Line is Narita, where there is Narita-san, a major temple. The terminal station of the Tobu Nikko Line is Nikko, a world-famous place with Toshogu Shrine. Also, at the end of the Tobu Asakusa Line, there is Sensoji Temple, which most international visitors to Tokyo visit. When railway businesses started, they considered that a large number of people would use trains to visit such shrines and temples and that there would be a high demand. ● At gas stations in Japan, employees wipe all windows and rearview mirrors (those outside) while they fill up your car. They also take trash that you want to dispose of. At some places, they even hand you some towels so that you can clear the inside of your car while waiting. ● It was approximately from the end of the Fourth Century to the beginning of the Fifth Century that Japanese people started to use Chinese characters. Strong characters first came to Japan in 57AD on official seals, swords and mirrors from China. Before the use of Chinese characters, Japanese was only a spoken language with no scripts and no way of being written down. ● In the Edo Period, the ratio of women to men in Tokyo was three to seven. ● Around the end of the Edo Period (circa 1800), 100% of samurai worriers could read and write, while about 50% of people in other occupations could read and write. ● At many tempura restaurants, you can order “deep-fried ice cream”. Hot outside and cold inside, it is actually very delicious. You will like it. ● If you have no money for transportation to go home, go to a police box nearby and they will lend you enough money to go home if you have an ID that can verify your residence. ● The reason why Japan is called “the land of rising sun” is because Japan is located literally where sun rises for the people in South China, who named Japan “日本” which means “ where sun originates” in Chinese. ● There are 4 million vending machines in Japan. ● The word, Karaoke comes from a slang used in the radio broadcasting industry and it is a short form for “vocal track empty (kara) and Orchestra (oke) only. *Many sites on interesting facts about Japan explains that karaoke simply means empty orchestra but this explanation is perhaps more accurate. ● There are over 300,000 surnames (family names) in Japan.